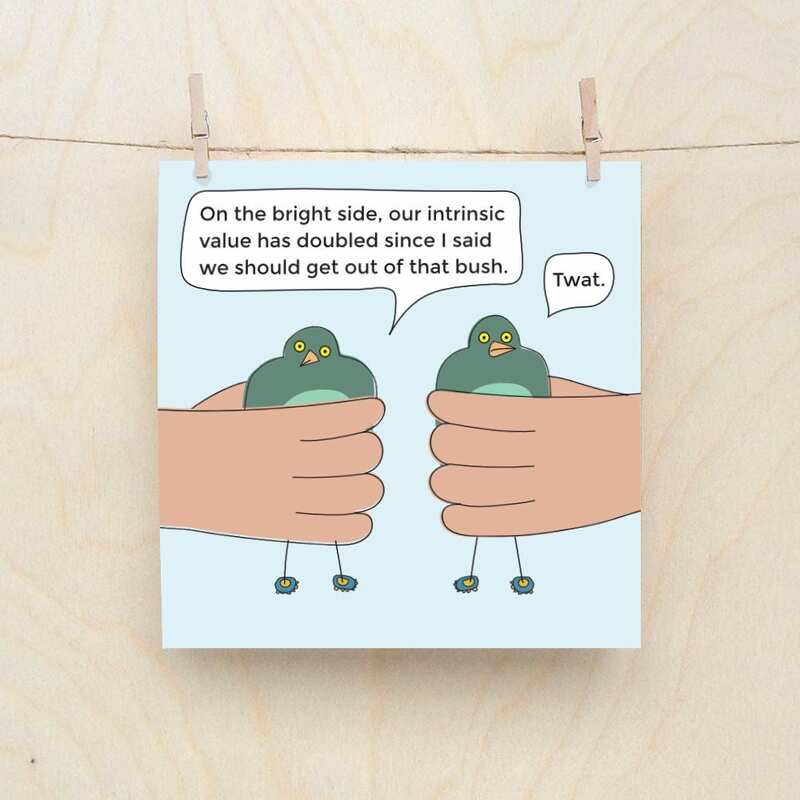 Funny greetings card about the decisions we make and how sometimes people think we are twats. It's also about getting the last word. Printed on 148mm x 148mm 380gsm card. Professionally printed. comes with envelope in cellophane wrapper. Shipped in hard envelope.